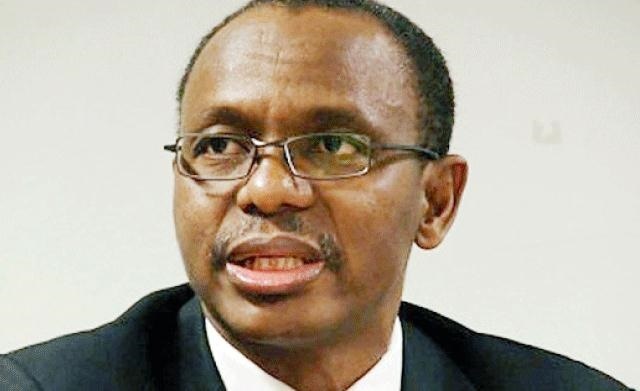 Governor Nasir El-rufai of Kaduna State has declared that former Vice President Atiku Abubakar is not a threat to the reelection of President Muhammadu Buhari in 2019. El-rufai noted that if the Peoples Democratic Party decides to give Atiku its presidential ticket in 2019, he is no match for Buhari. El-rufai stated this in an interview with State House reporters on Friday after joining Buhari in observing juma'at at the Presidential Villa mosque. The governor was reacting to the exit of the former vice president from the All Progressives Congress. He said the APC knew that Atiku would quit the APC in December, stressing that it was better he left earlier than planned. El-rufai expressed confidence that no APC governor, not even Jibrilla Bindo of Atiku's home state of Adamawa State, would join the former vice president. El-rufai said he had in 2014 told Atiku in Dubai that no northern politician in the entire north was as popular as Buhari.